Sound through the HDMI cable I can hear in monitor speakers, but not in external speakers. I also have a cable connection via sound card to external speakers. I want it to listen to music through external speakers. Thanks for the quick reply. I have to try it but the problem remains. P. S. I have Windows 7 Ultimate 32bit, grafic card is Zotac GTS 450 Amp! Yes. If I put speakers to default ( Realtec AC'97 ) no sound ... only when set to default VX2753 ( my monitor ) Nvidia High Definition Audio but on monitor speakers. the Nvidia is your video card, so it will send sound through the HDMI cable. Try disabling that option in the Sound menu. 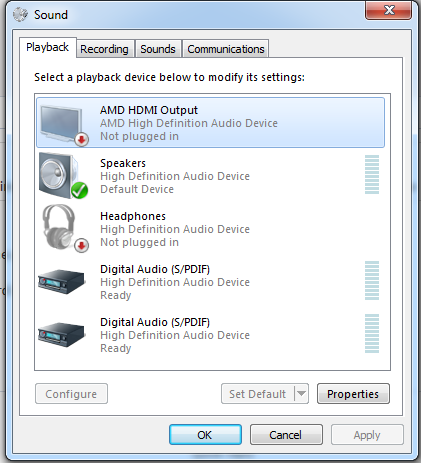 Set you default audio to one of the other ones on the list and test. 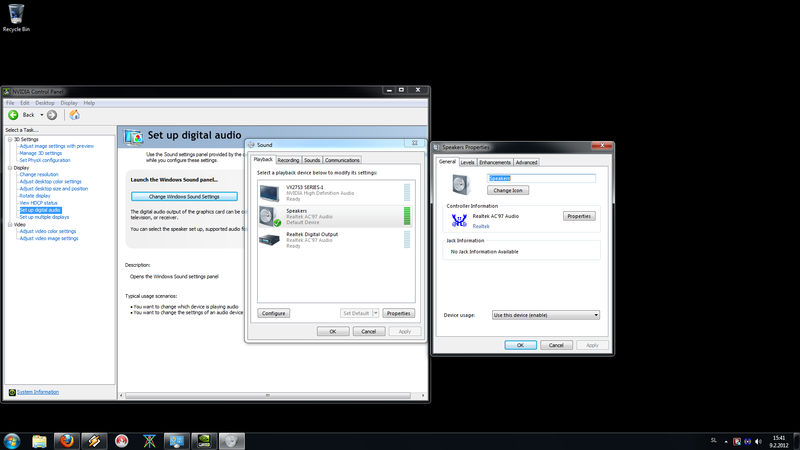 Check your Device Manager and make sure you have the sound card driver installed. Verify you have the green cable connected to the right port. Try connecting the green sound cable into your motherboard and see if you can get sound from there, instead of using the sound card. Make sure your speakers are turned on and sound volume is up. I also tried this option but without success. In test is no sound through speakers. I have last update. Question fx-4170 random freezing completely unresponsive and frozen sound requiring hard reset. help!? 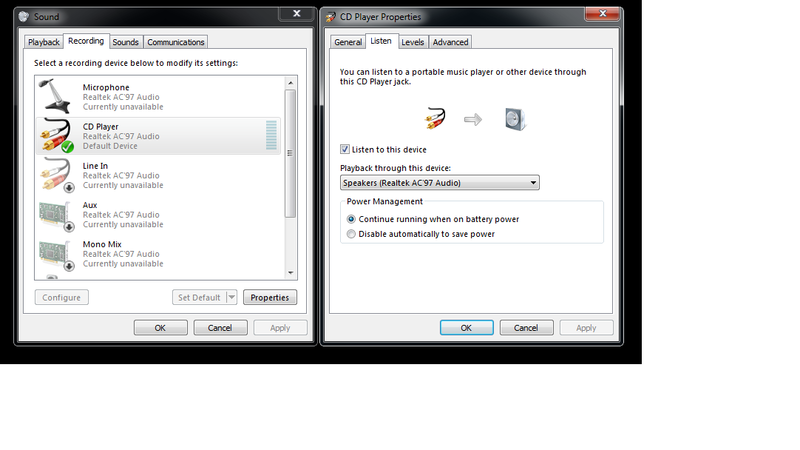 Question How do I uninstall Creative Sound Blaster Z drivers and software? Question PC Sound - is on board enough? Question Question about if I need a sound card.